A caller said someone “is destroying things and was threatening to hit him with an unknown object.” Officers responded. Trevor Edwardo Balderas, 24, 700 18th St., #9, Perry, was arrested on charges of public intoxication-drug related, fifth-degree criminal mischief, fifth-degree theft and disorderly conduct. A man entered the offices of the Perry Police Department at 908 Willis Ave. in order “to turn in three live M16 rounds that he found in a junk drawer.” The man “also wanted to talk to an officer about activity that caught his attention, and he thought he should report it.” An officer responded. A caller caught a cat running at large. An officer responded and transported the animal to the Perry Animal Holding Facility. A caller “reported aggressive solicitors in the area,” who “opened his door when he did not respond to their knocking.” The caller said the solicitors were “providing invitations to their church.” An officer responded but did not find the solicitors. 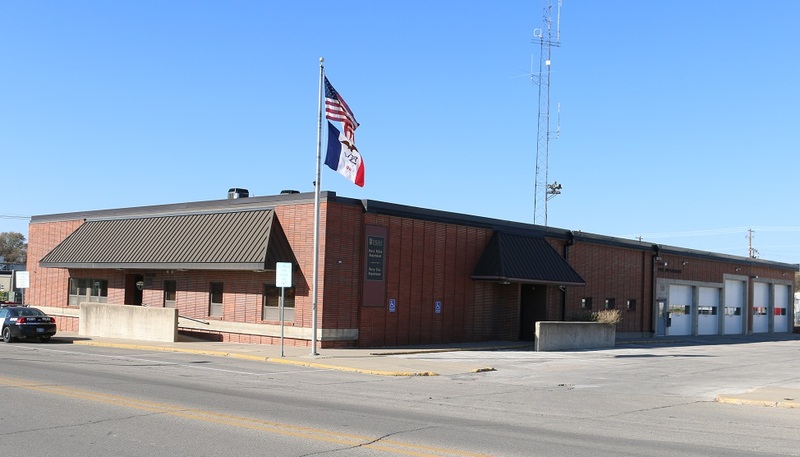 A caller said “there are a couple of girls in town who keep saying he is sexually harassing them.” The caller said “his father told him the parents are upset with” the caller, “and he said he has not spoken to them and did not make remarks to them.” An officer responded. A caller said someone is “outside his apartment, yelling” and “saying that she knows he is in there and yelling for him to come out.” Officers responded. A caller said they caught a dog running at large. The Perry Volunteer Fire Department was paged for mutual aid for a field fire near Yale. A caller said “her 13-year-old daughter made contact with” someone “who was in his vehicle out on the road in front of her residence.” The caller said “there is a no-contact order.” An officer responded. A caller said “she was flagged down by a male walking southbound toward Rippey on Iowa Highway 144.” The Greene County Sheriff’s office was notified. A caller said “someone dumped a ‘No Parking This Side’ sign with the pole attached to it in her yard.” The Perry Public Works Department was notified. Maria Hernandez, 34, 1604 1/2 Sixth St., Perry, was arrested on a charge of disorderly conduct.